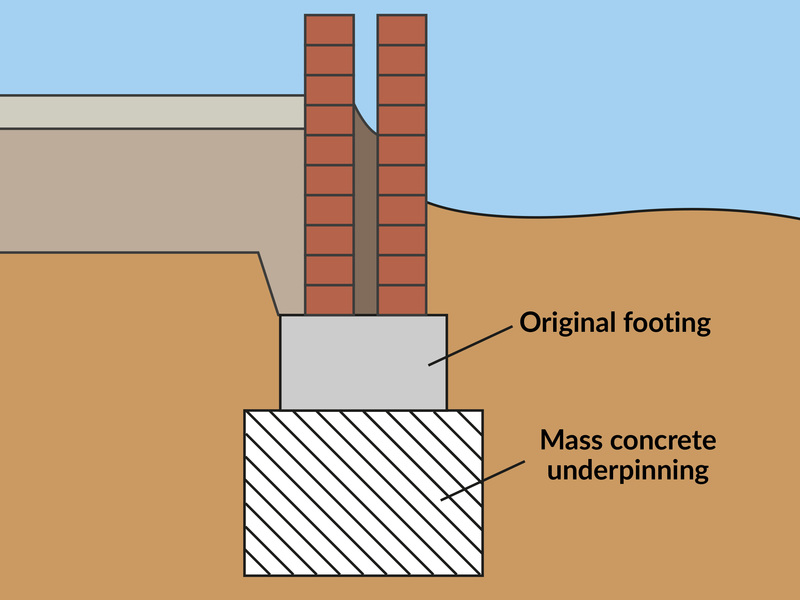 Underpinning works are required when the foundation or existing structure of a building require strengthening. Why Does A Building Need Underpinning? Additional building storeys either above or below ground are being added to the structure. This therefore means the existing foundations need strengthening to adequately support the additional load. Another common reason why foundation work may be necessary is subsidence. Subsidence is changes in the condition of the soil which may have caused the existing foundations of the building to move. They are a number of natural causes of subsidence such as earthquakes, floors, drought etc. We offer a full underpinning service, including structural engineers calculations. Contact us for a free no obligation site visit and quotation.